of symptoms in order to diagnose any African Violet problems or pests. At each step, you can view the entire list of problems which may cause the symptoms you have indicated to that point. When the diagnosis is complete, you will be provided with a complete description of the problem, along with recommended treatment and prevention options. 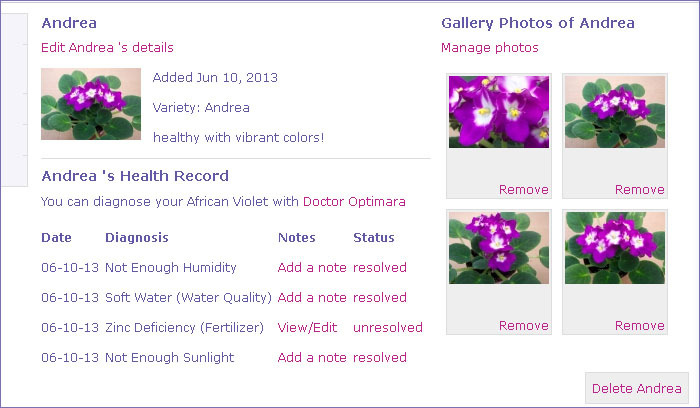 Doctor Optimara can save this data to your myViolet profile so you can track the best solutions to your specific problems or compare effectiveness of different solutions and keep your African Violets in top health and beauty. 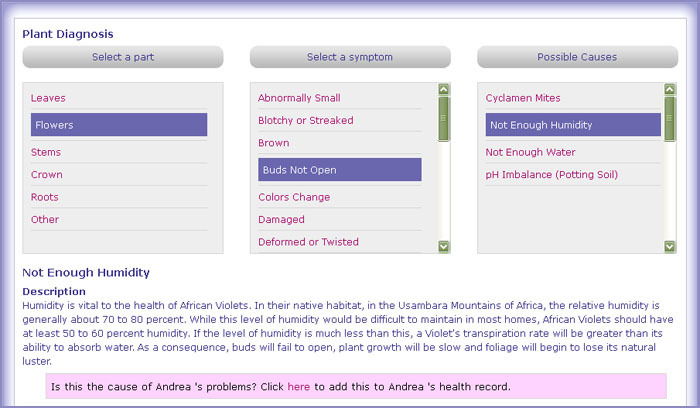 To begin diagnosing your African Violet, sign in to your MyViolet user account.